Los Angeles Mayor Antonio Villaraigosa on Monday announced the appointment of former Assemblymember Warren Furutani to the Board of Public Works. Furutani replaces Andrea Alarcon, who left the board in January. He will finish her term, which expires June 30, 2014, unless Villaraigosa’s successor — either Eric Garcetti or Wendy Greuel — decides otherwise. The salary for the full-time position is $127,000 a year. Alarcon resigned after her then-10-year-old daughter was found unattended at City Hall around midnight Nov. 16, while she was drinking at the Doubletree Hotel in Little Tokyo. The mayoral appointee, daughter of City Councilmember Richard Alarcon, was already facing a DUI charge in San Bernardino County at the time, and Los Angeles police opened a child endangerment investigation. Furutani, 65, represented the 55th Assembly District from 2008 to 2012 and served on various committees, including Utilities and Commerce, Transportation, and Labor. He was chair of the Select Committee on Career Technical Education and Workforce Development, and chair of the Public Employees, Retirement and Social Security Committee. His work in the Capitol included legislation related to career technical education, community colleges, clean air quality, and support for small businesses. In January 2012, Furutani lost to Joe Buscaino in an election to fill the District 15 seat on the Los Angeles City Council, which was vacated by Janice Hahn when she was elected to Congress. Furutani did not seek a third term in the Assembly. Before being elected to the Legislature, Furutani was a trustee of the Los Angeles Community College District and a board member of the Los Angeles Unified School District, and served as president of both boards. 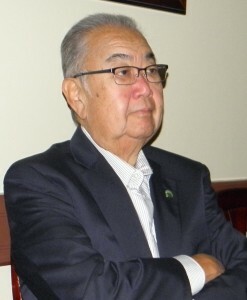 A product of the Los Angeles public school system, Furutani graduated from Gardena High School in 1965 and attended several California community colleges before graduating from Antioch University. He is married to Lisa Abe Furutani and has two grown sons.